I’m very excited to be returning as a Pro-Dancer for this year’s “Dancing with Our Stars.” I’ve enjoyed meeting and working with so many amazing people throughout the years. I was first introduced to ballroom dancing from watching “Dancing with the Stars” on TV, and got started from the local Dancing with Our Stars as a volunteer the first year. 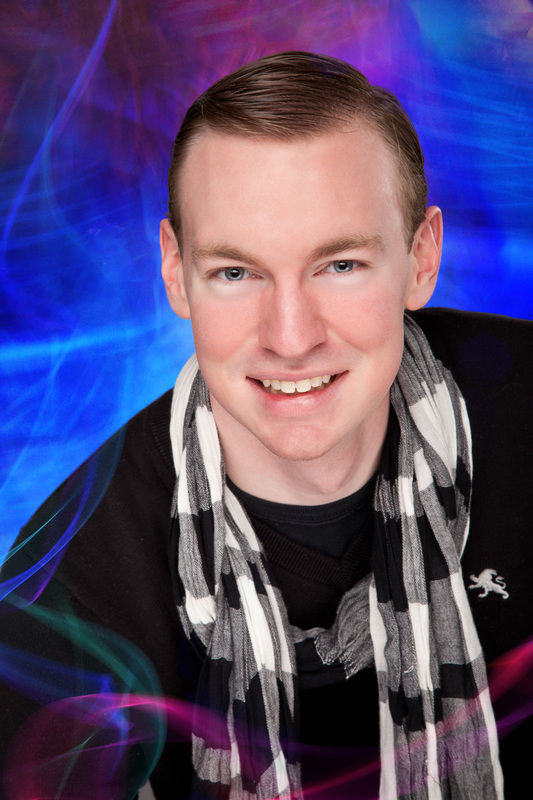 I currently teach at the UWGB Ballroom Club, DanceSport of Green Bay and compete at the Wisconsin State DanceSport Ballroom Championships and the Wisconsin Holiday Open. This year will be my 4th year dancing in this event, and my 6th year volunteering. I don’t have one specific dance that is my favorite but the ones I tend to really look forward to are the Waltz, Quickstep, Samba and Jive. When I’m not ballroom dancing I enjoy hanging out with my friends and family, swimming, playing volleyball and of course watching our Green Bay Packers! I’m very excited to be part of the 2014 Dancing with Our Stars crew, especially when our proceeds go to a GREAT cause, the American Red Cross. The organization does such amazing work for the community, and I’m very humbled to be part of its team. 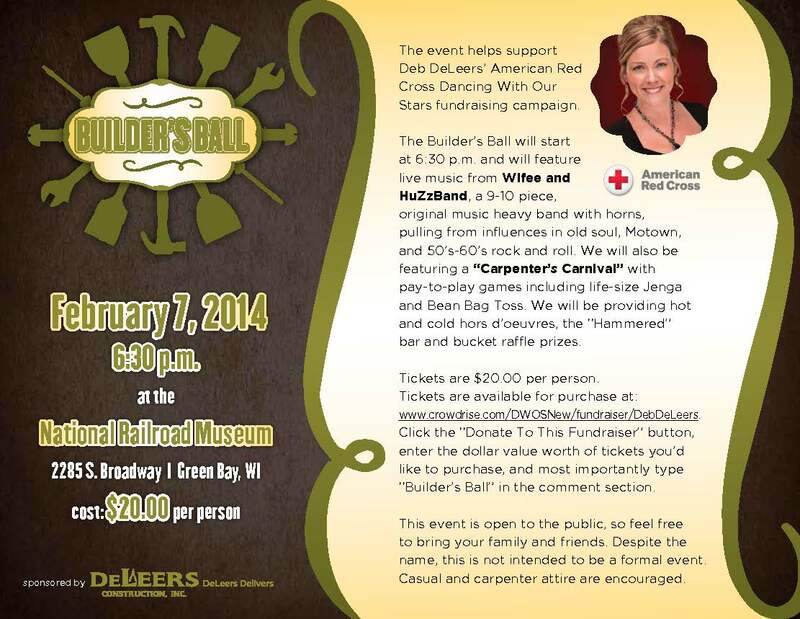 Rane will be paired with Star Dancer, Tammy Elliott, Anchor, WBAY-TV 2. Therese joins the Simply Ballroom team all the way from Sydney via Los Angeles after enjoying a very successful amateur career dancing in Australian film and television shows like Australian People’s Choice Awards and on stage at the closing ceremony of the 2000 Olympics. Since turning professional, she has been teaching in Los Angeles and continuing her education in ballroom dance. Therese likes all aspects of competition which is clear to see by her many titles, and representing her country in all major state and international competitions. She brings a wealth of competitive dance experience and technical knowledge to Simply Ballroom. After completing her coaching and teacher qualifications at the Australian Institute of Sport, Therese discovered a new passion for sharing her knowledge and helping others become better dancers. She teaches by focusing on the art of movement and physical aspects of dance and “Simply” making learning fun again! She does a fantastic job of meeting students at their level and building them up. Nothing makes her smile more than watching a student reach their dancing goals in social or competitive dancing. Therese will be partnered with Star Dancer Jim Rivett, President of Arketype, inc.
Come warm up and get your New Year off on the right foot! 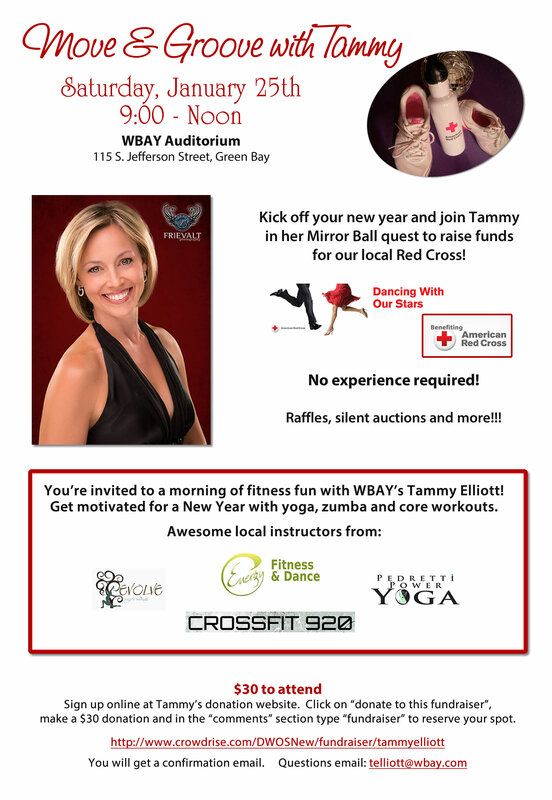 Join me for a morning of fitness fun all to benefit our local Red Cross. Raffles, silent auctions & more. As you may know I’m a celebrity dancer for the upcoming Red Cross “Dancing With Our Stars” event and this is my way of putting the “fun” in my fundraiser. Watch your favorite Associated Bank Senior V.P.’s pour you drinks! 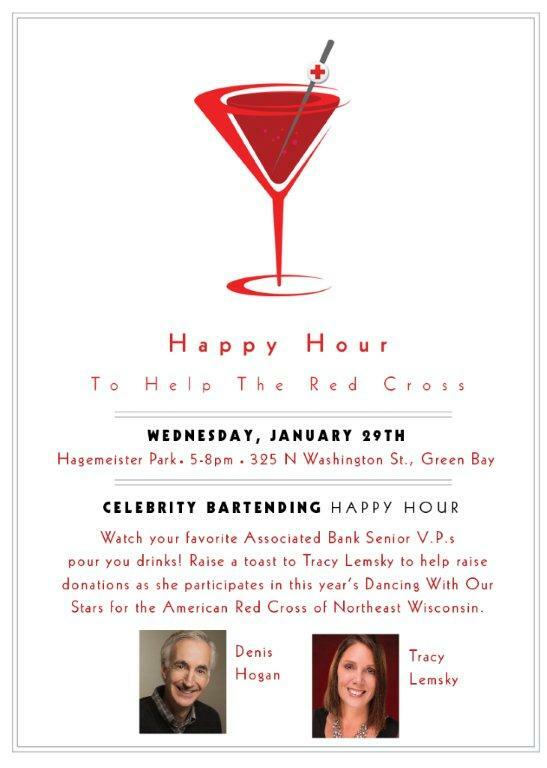 Raise a toast to Tracy Lemsky to help raise donations as she participates in this year’s Dancing with Our Stars for the American Red Cross of Northeast Wisconsin. Can’t make it? You can still show your appreciation by donating to her cause!